Kitchen design essentials that every interiors enthusiast needs to see. Designing a kitchen is more than just choosing appliances, cabinets, and a counter top. Consideration needs to be given to the design scheme in terms of colour, texture and pattern. 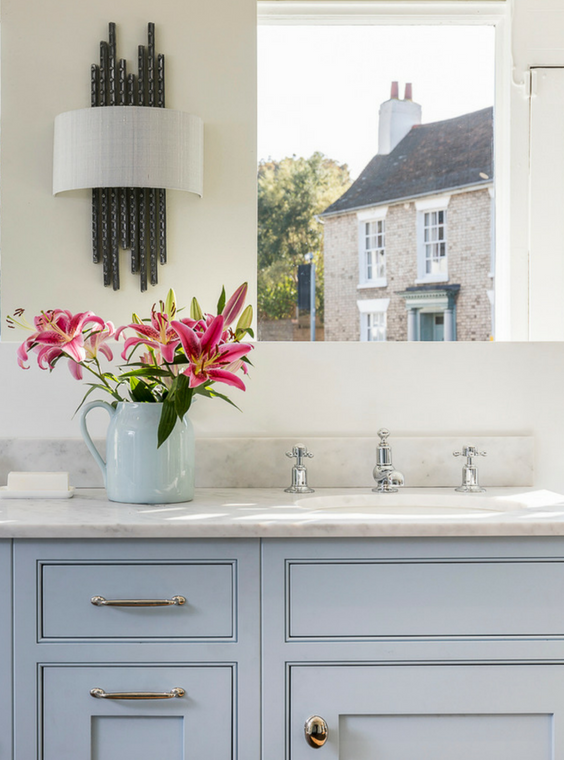 Whether your current layout needs renovating or you simply want to refresh a tired colour scheme, these 10 beautiful kitchen designs will help inspire you to create your dream cooking space. Tiles are a great material for injecting colour and pattern into a kitchen. 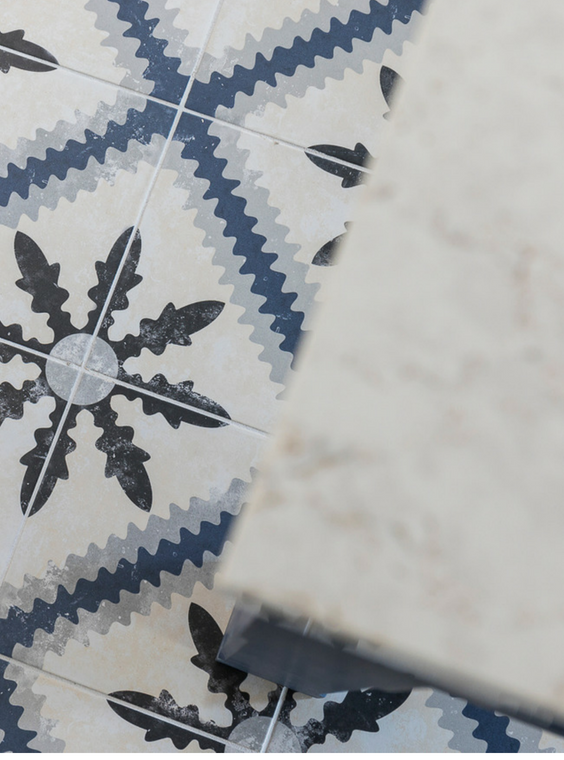 Whether it’s a feature back splash or floor, tiles can really add a design focal point. Brick and square tiles have always been considered the safest option for kitchen design. In a solid or neutral hue however, brick and square tiles in more playful patterns, dial up kitchen decor without overwhelming the space. 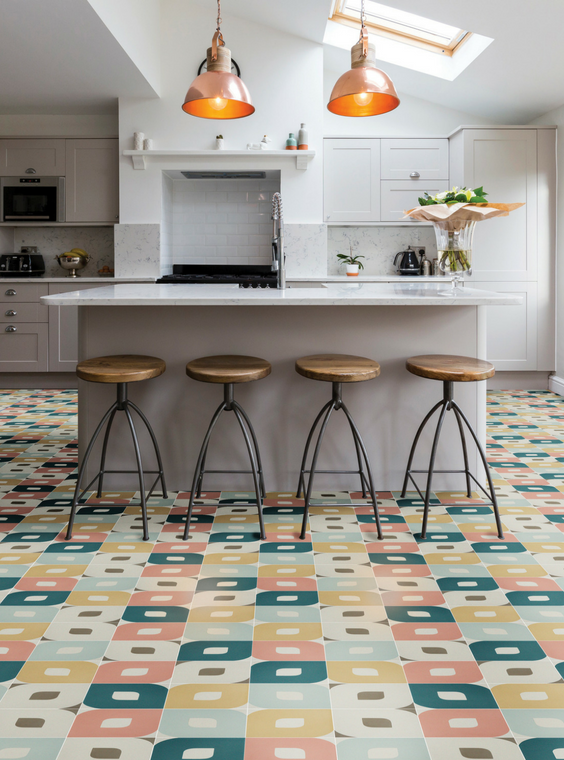 Available in square format tiles, our Illusion encaustic pattern tile, with its dusty warm colour palette and geometric lines, complement any kitchen interior. 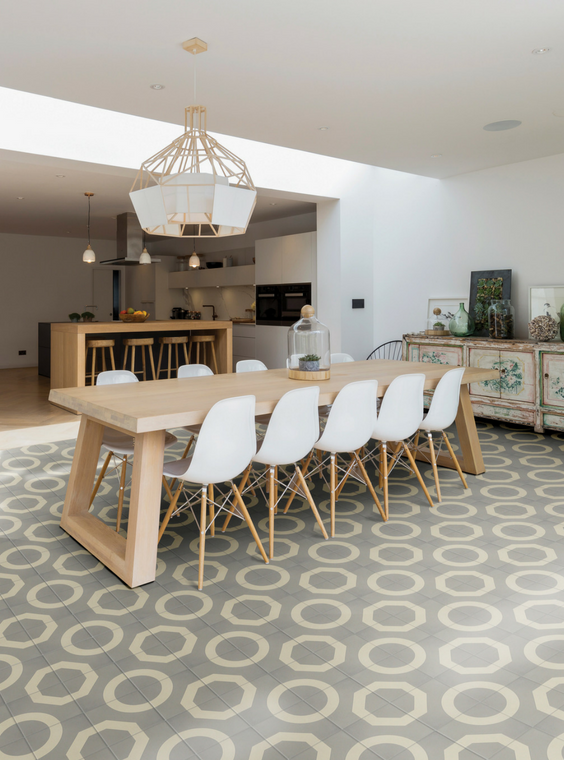 The patterned tile takes a traditional element with a contemporary twist. Sneak pattern into a small space. For most people, kitchens trend toward neutral territory — but too much beige, white, or grey is a missed opportunity for some lively pattern, which can make a kitchen feel more like home. Tiles can coexist beautifully with solid surfaces, as they add a rustic element that takes the edge off modern kitchens. 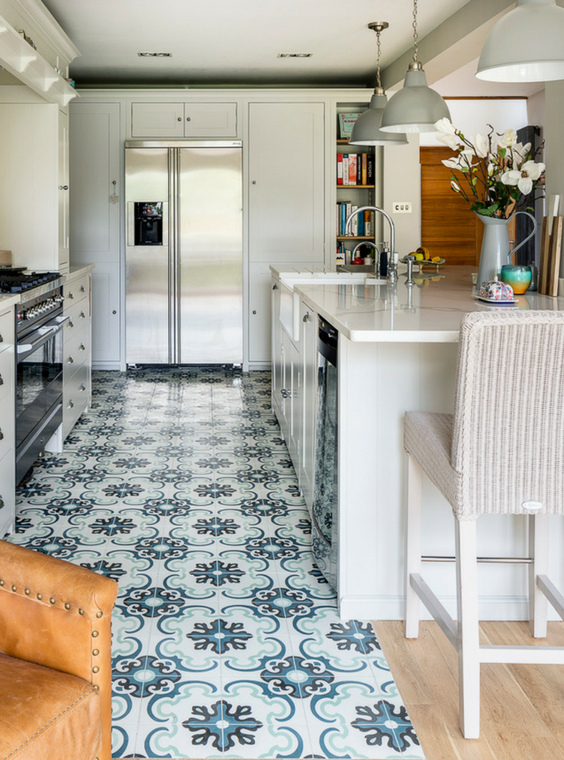 Moroccan tiles are perfect for adding playful colours and a sense of personality to a kitchen. Experiment with hues of blue. 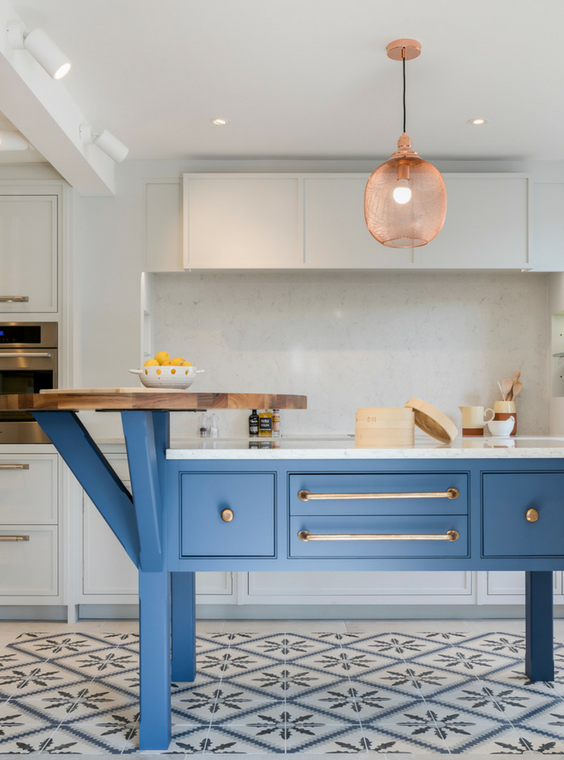 From cobalt blue to powder blue and teal, blue is the colour of the moment when it comes to kitchens. Darker shades of this versatile hue is making a splash on kitchen cabinets and islands. This colour scheme however is not for the faint-hearted. This bold and dramatic colour is for those who are brave and want to make a statement with their home. Be bold with a vibrant colour scheme. 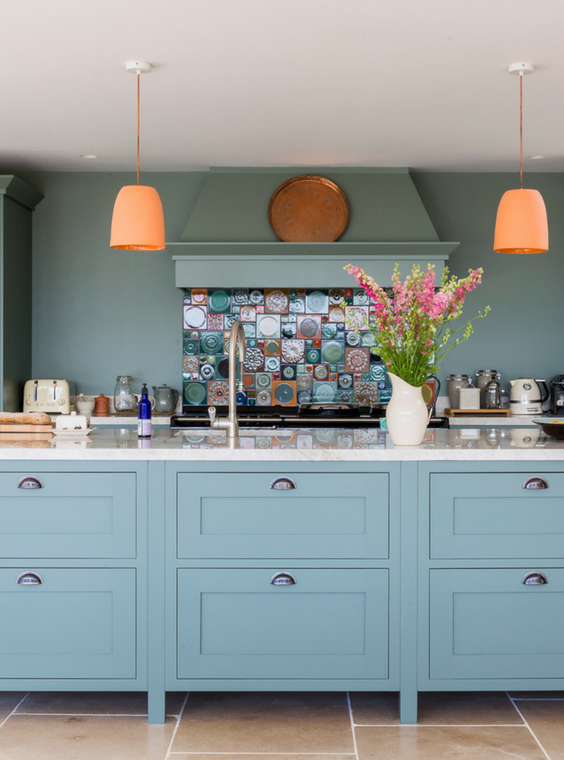 Vibrant colour schemes are making a splash in kitchen interiors, with a focus on both Scandinavian application – pops of bright colour – or complete maximalism –with colour clashes. The use of colour in the kitchen is extremely important and should reflect your personality and needs. For instance, a space for cooking should be light and bright while spaces designed for entertaining could have a darker essence to provide a suitable ambience. Pretty pastels present real design advantages and are a great way to inject a little fun into the kitchen, especially when used as coordinating or contrasting finishes. For those keen to create some individuality, yet not quite brave enough for the dramatic contrast of bold colours, then pastels are ideal partners for popular grey palettes and wood effect finishes. Used for highlighting and creating features, pastels in blue, yellow, pink and green can create a real wow factor. Golds have been on trend for a while now but there has been a move to combining it with browns and organic materials. Combining the use of neutrals, golds and organic textures makes for a warm environment. The natural look is not only easily adaptable with other colours but also goes hand in hand with good quality, timeless design. 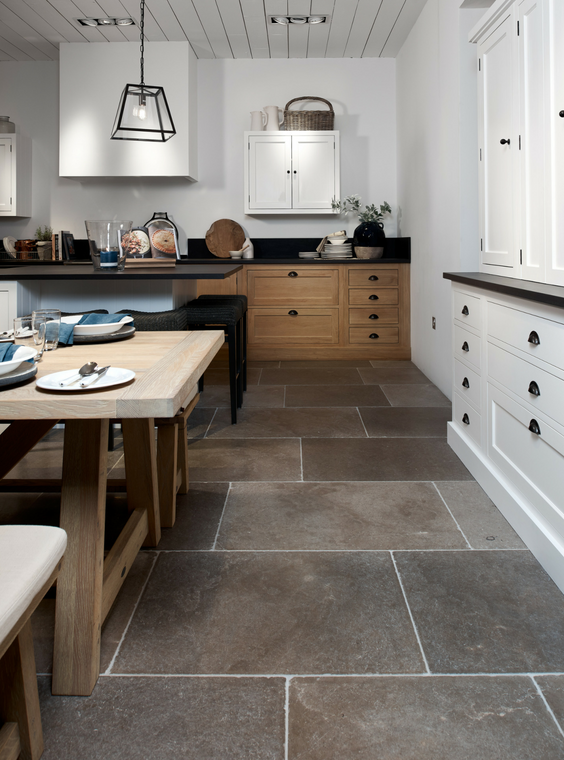 A kitchen is a space which needs to have a timeless appeal. Make your kitchen island the hub of the home. Layouts are usually dictated by space available however kitchen islands are perfect for bringing people together. Most islands will have breakfast bar or banqueting seating, so that dining is incorporated into the kitchen area. Kitchen islands can work as both a storage area and a place for dining, but less often they are used for actual food preparation. Utilise your island further by installing an appliance – the addition of a small sink or hob in your island will mean everyone can get involved with the food prep! A beautiful, ornate handle looks effortlessly chic against a modern cupboard. Handles add style to any kitchen design. 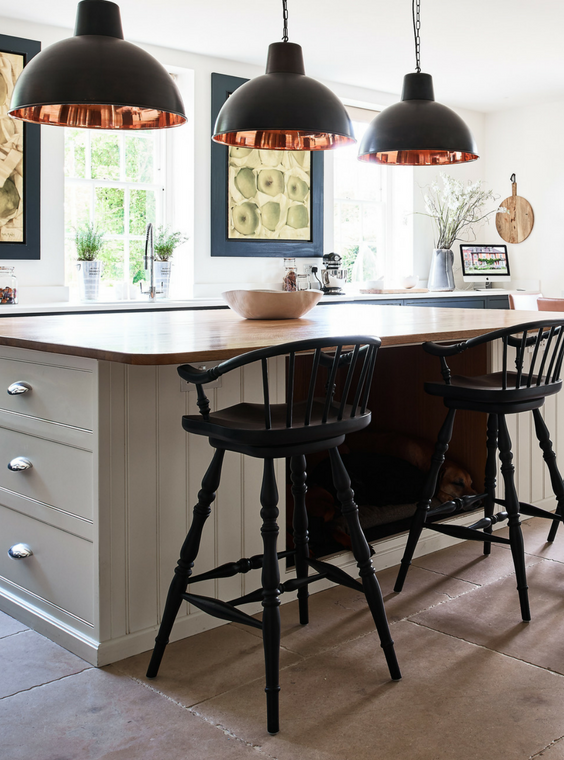 Mix and match your kitchen accessories with your handles, in rose golds, coppers and brass, for a sophisticated design scheme. Make a statement with lighting. Don’t let your kitchen’s lighting be an afterthought — your choice can influence the space’s overall look and function. Lighting can make a huge impact, especially when you can play up the scale. In this kitchen, bold industrial, copper pendants fully illuminate the kitchen bar, but also become a decorative focal point. Mixed materials in a kitchen help create an irresistible, textured design. For a unique look, play with natural materials including wood, stone, rattan and wicker. 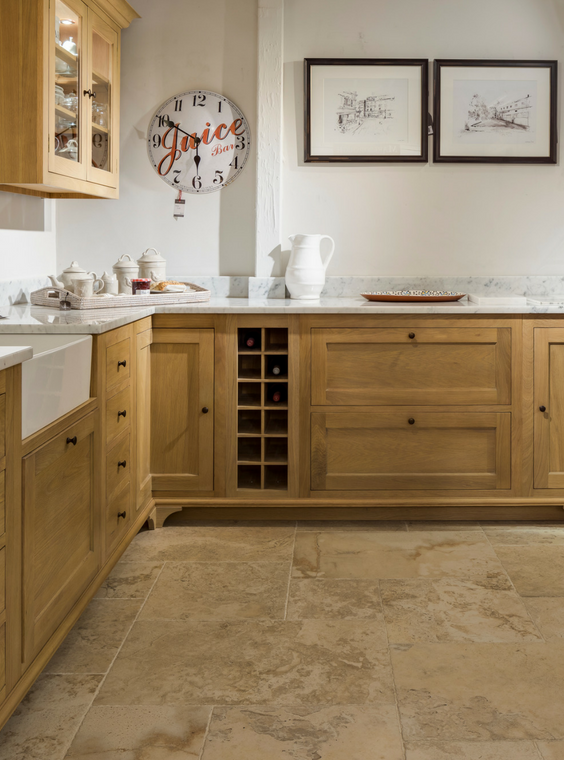 Create striking focal points with brass doors, door handles, ovens and sinks.